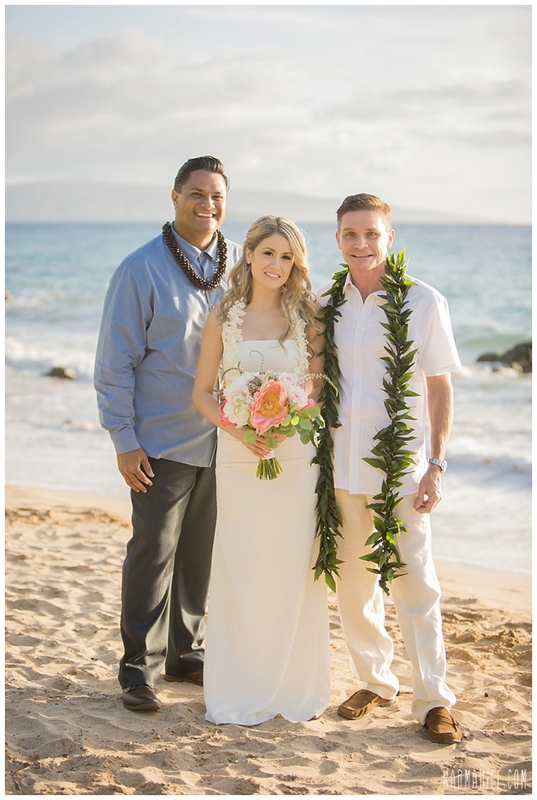 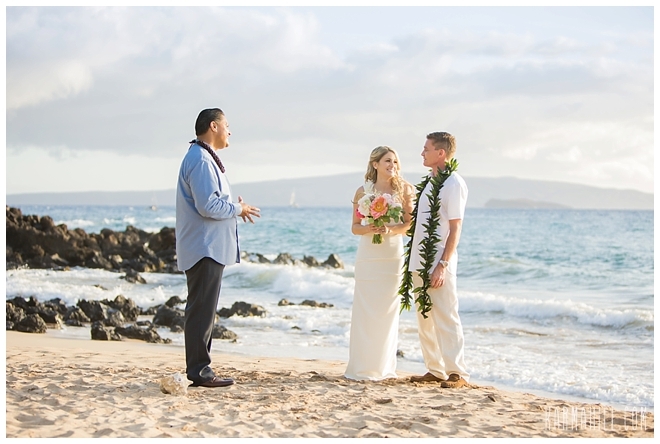 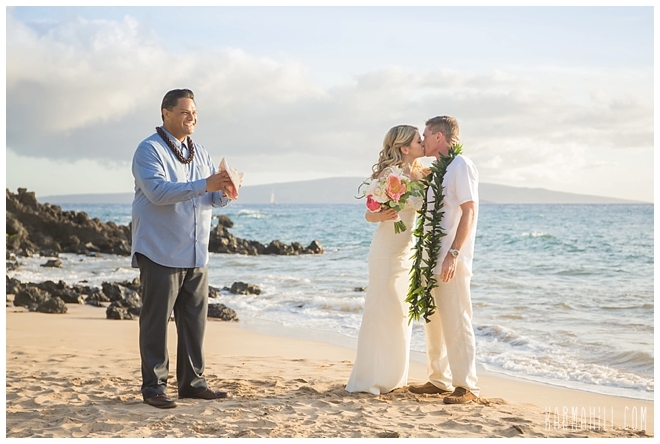 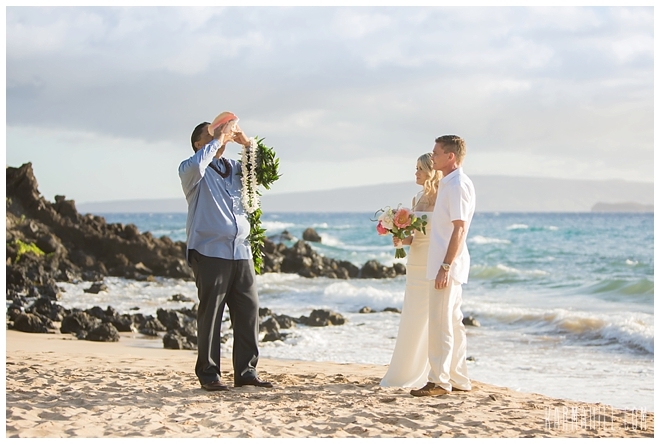 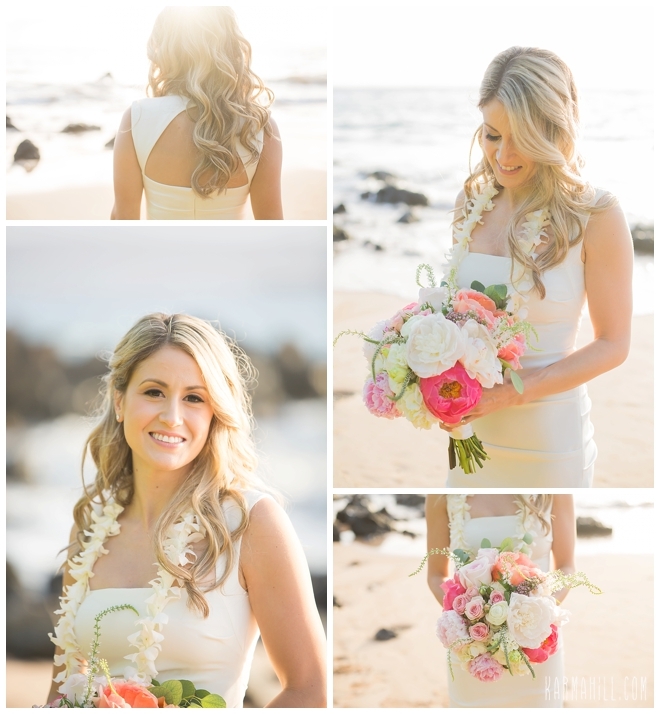 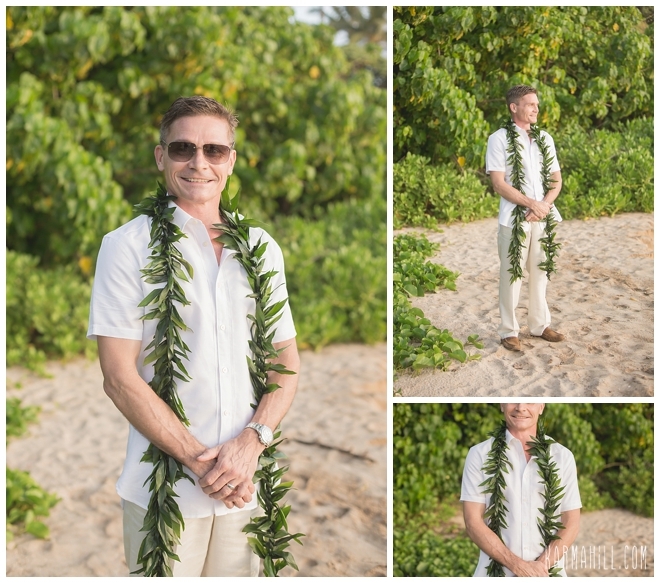 Amber & Gary's Sweet Maui Elopement! 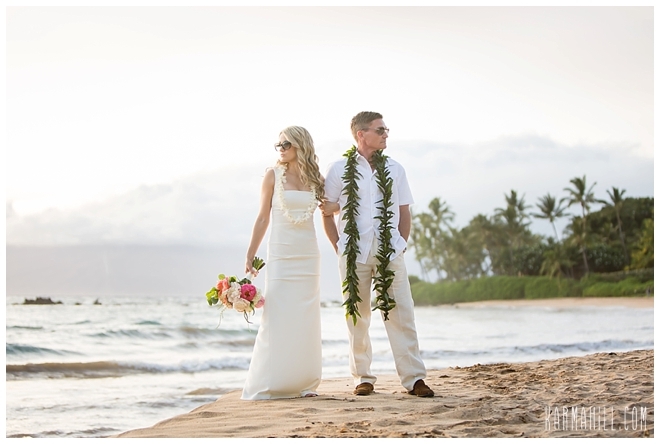 Amber & Gary came to Maui for their sweet and intimate Maui elopement. 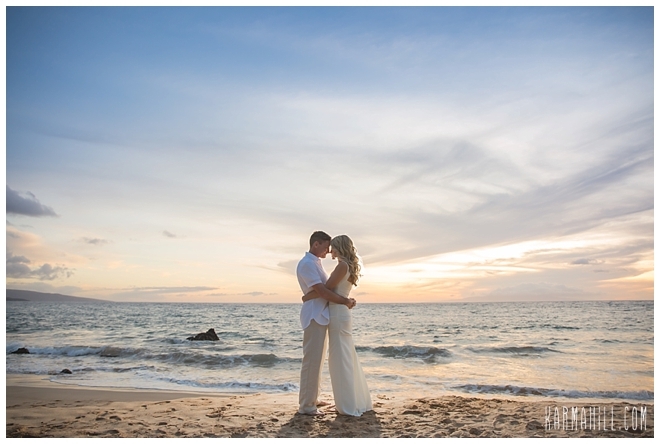 These two were blessed with an amazing night on Southside Beach. 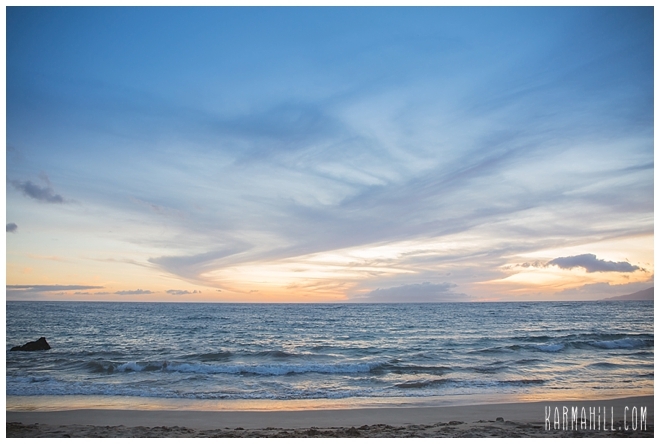 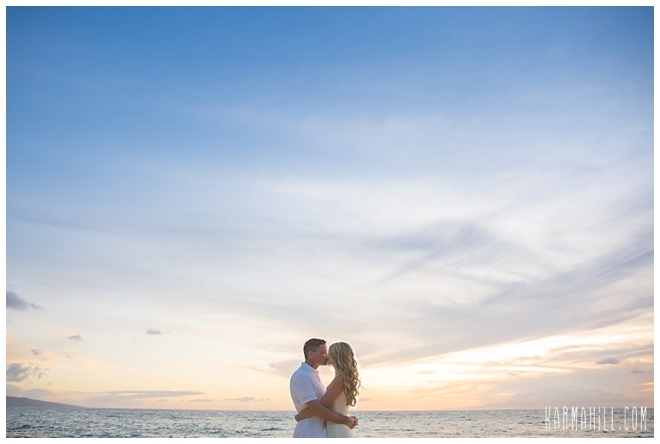 The colors in the sky and the ocean created a beautiful backdrop for Amber & Gary to be married in front of. 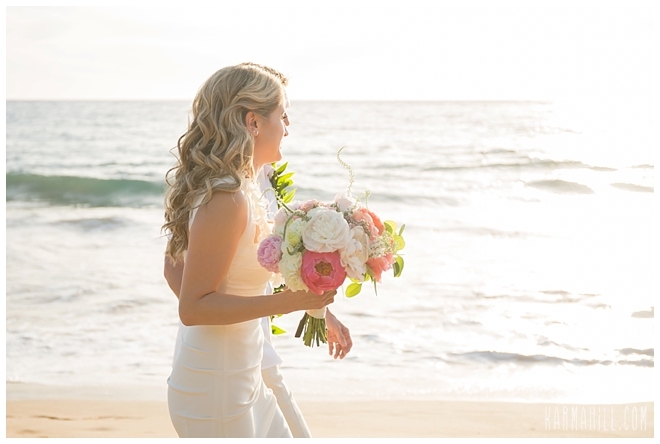 Amber's beautiful custom bouquet made by Dellables turned out amazing and looked great next to her lacy wedding dress. 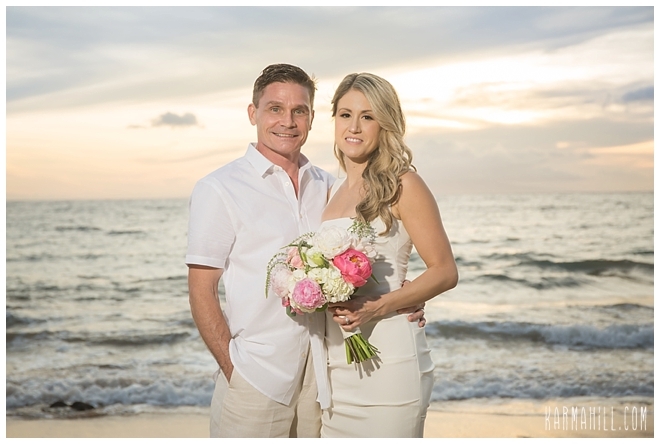 After Valentine Rosete married the sweet couple it was time for some romantic couple's portraits! 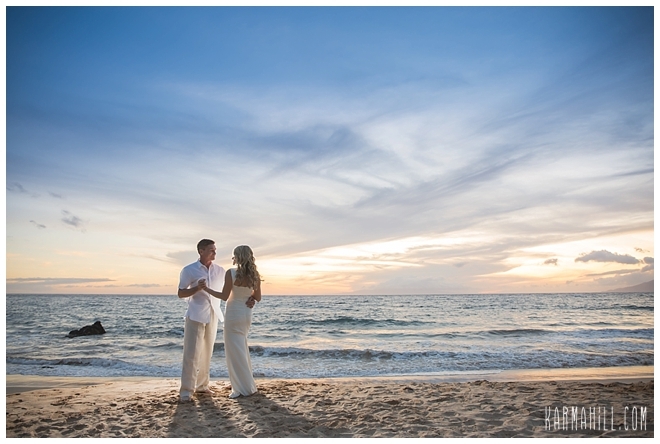 They took full advantage of the love and light and we are so happy to share their stunning pictures with you! 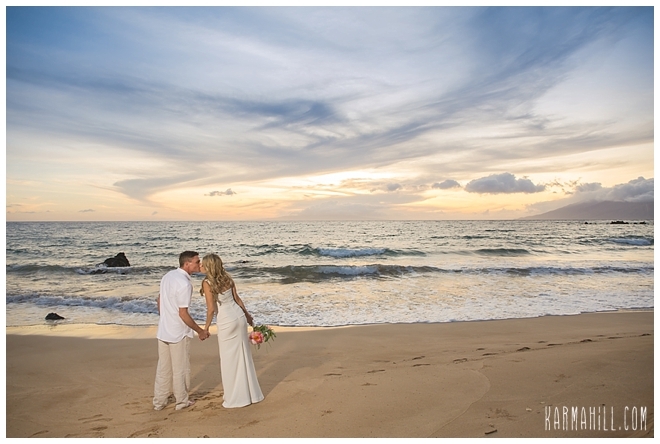 Mahalo Amber & Gary for choosing us for your Maui elopement! 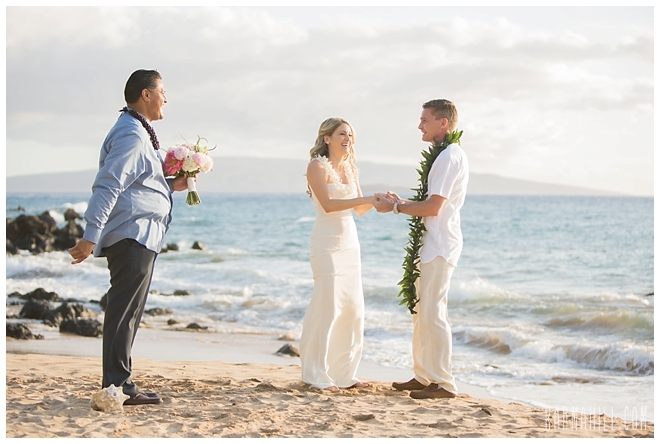 We hope you enjoyed the rest of your vacation/honeymoon! 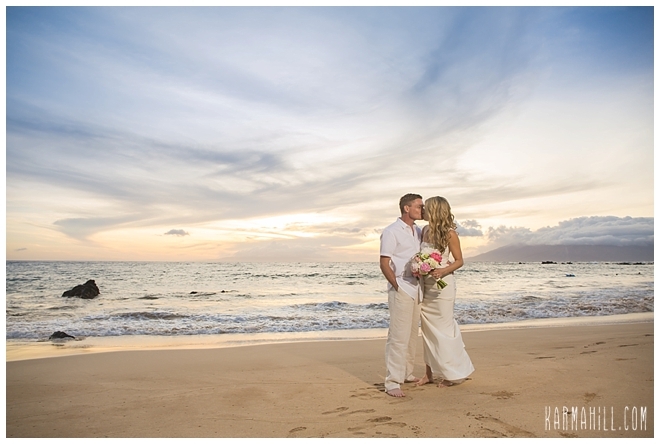 Check out our last Maui elopement with Emma & Peter!